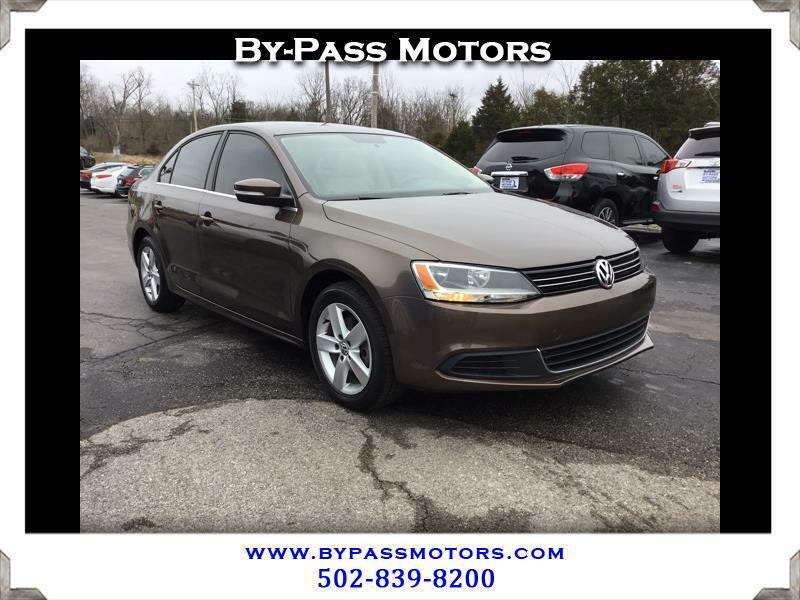 Used 2014 Volkswagen Jetta TDi for Sale in Lawrenceburg KY 40342 By-Pass Motors, Inc.
ONE OWNER VW Jetta TDI equipped with a Manual Transmission and a clean history report!!! This TDI is as quality of one that you will find with a factory sunroof, heated leather seats, fender premium audio, and so much more. You can tell that someone definitely took care of this car when you open the door and see the super fresh carpets and leather seats with no wear. We have fully serviced this Jetta to insure that it needs nothing, but you in the drivers seat. We have been in business since 1989 with an A+ rating by the BBB!! !